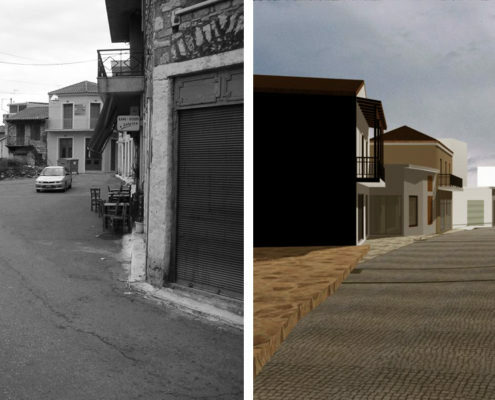 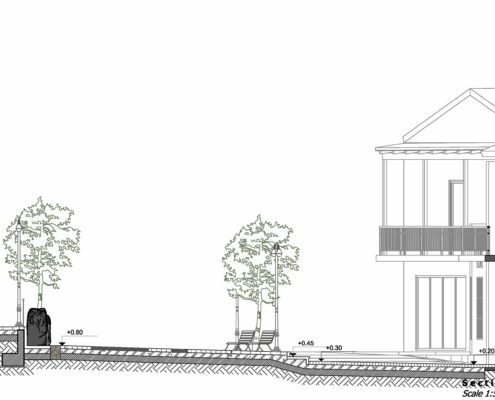 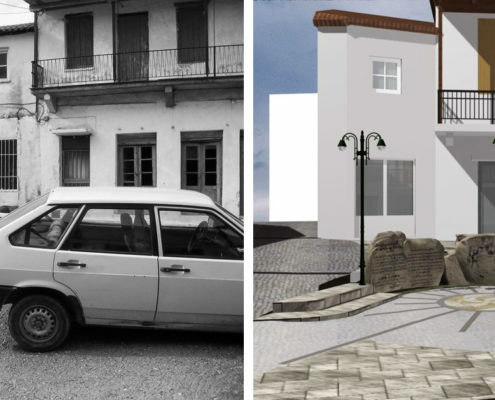 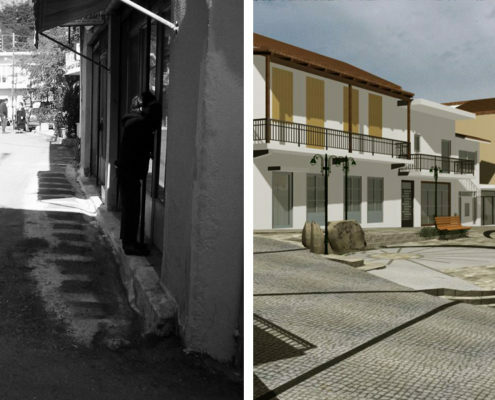 The aim of this urban design project was the landscape design of a square in a small town Figalia, in Peloponnese, in Greece. 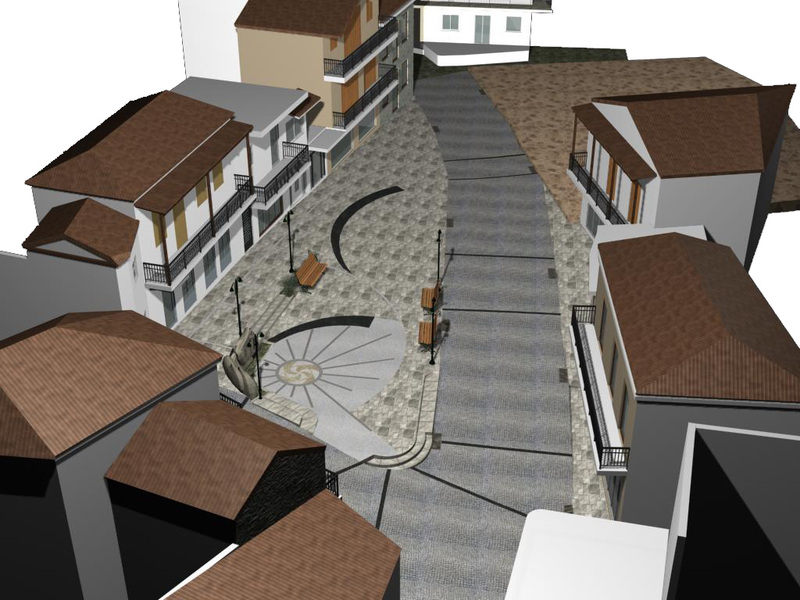 Actually, it’s the central space of the small town where all happenings of the residents take place. 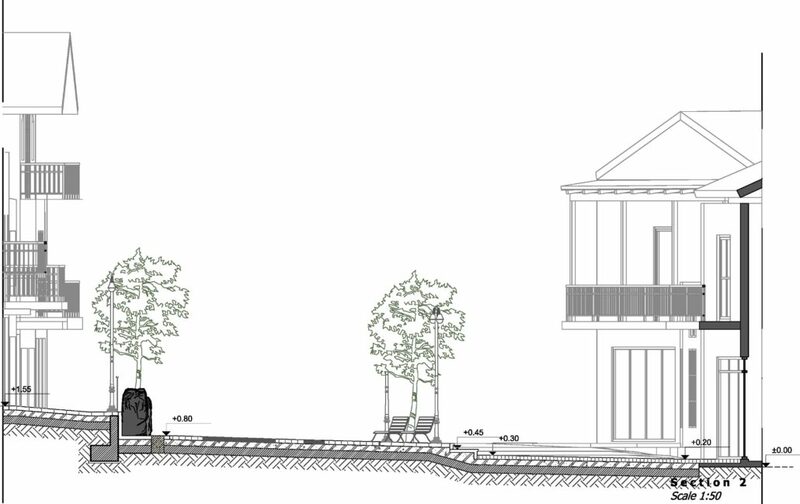 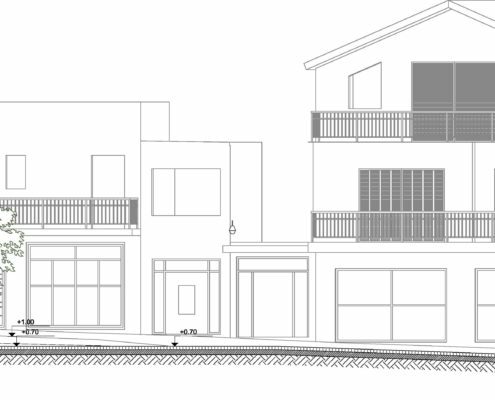 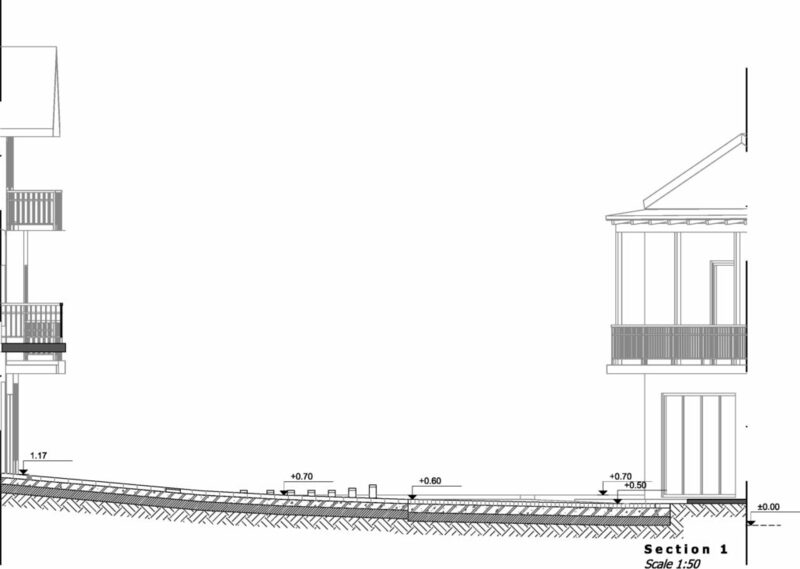 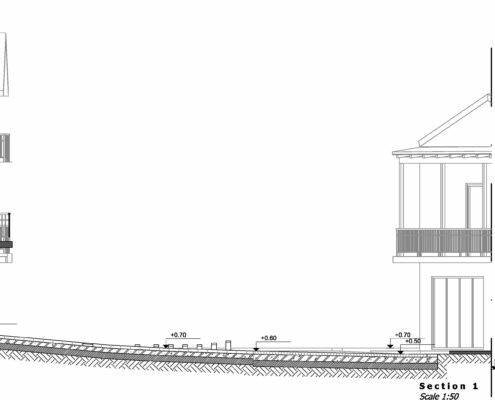 The existing slope was a challenge during the design because stairs should be avoided. 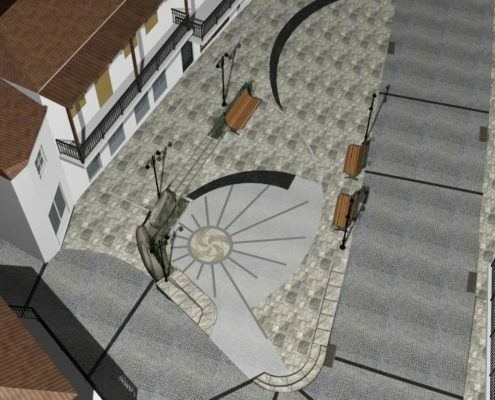 There is a part of the square that is intended for the car circulation and the proposal covers it with small cube stones. 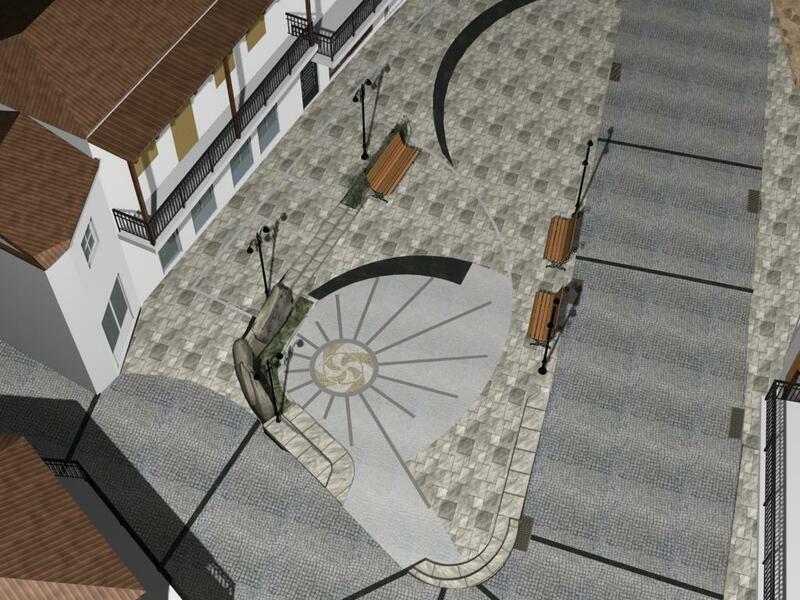 The other part of the square is proposed to be covered with different stone tiles, marble tiles and an inlay. 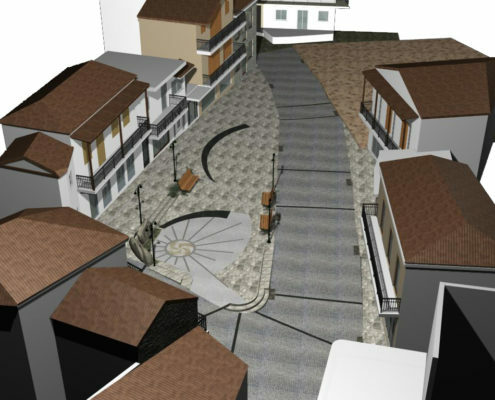 Furthermore, urban design included proposed light design.